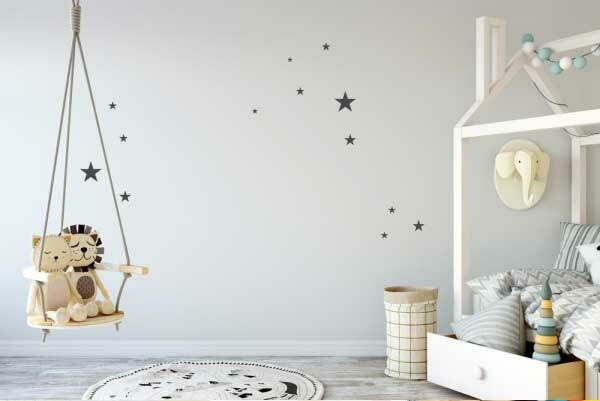 Wall painting tips can help DIYers get quality results. How to Paint a Room! When considering our homes, all of us want them to be comfy and welcoming to the people having the time to pay a visit to us, as well as homes one can be proud to exhibit. 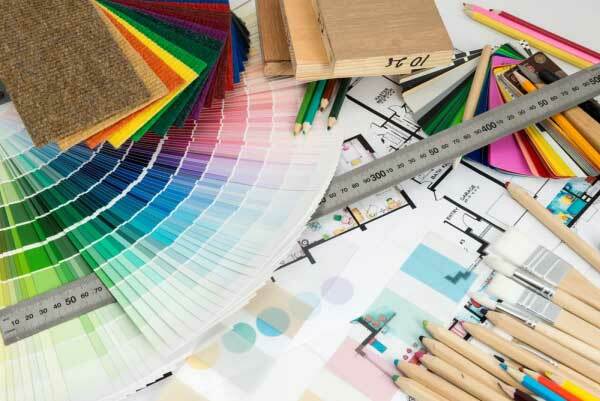 If your household appears a little dull or feels a little out-of-date, you can make some modifications that will brighten it up leaving you with a feeling that you’ve just given your home a much-needed renovation. One of the primary ways people are likely to redesign their homes is by painting. It is an affordable solution to making a whole new look. 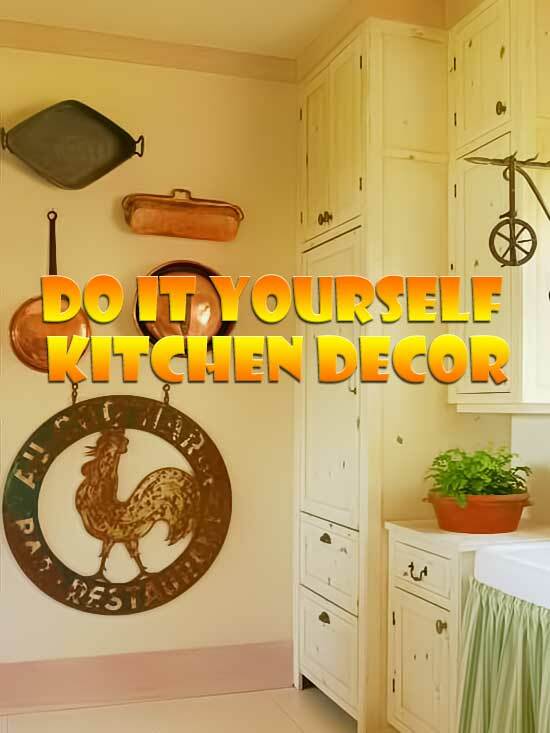 I consider this section of the home design elements to be the one that you should finish off first if you do some home renovation or room decor. This is due mainly to the fact that no matter which way you look at it, if you need to do your walls, then it’s just going to messy. Wall accents, painting or wallpaper? You might lay down the required drop cloths, and you might have the wet rag ready to be pulled out at the drop a single speckle, but there just isn’t any way that you’re going to be able to get all those speckles and spots every time. And sure you could get them out later with industrious cleaning, but if you’ve already done your floors, then they might still an indelible mark. That’s why I always consider it best to do the walls first. Besides, all the laws of the universe point to one thing when you’re doing your walls. No matter what you’re doing, be it painting or wallpapering or just plain treating your walls, things will drop and drip their way onto your floor, and you won’t be there to catch or wipe up all of them. The second part of this law states that of the things that dropped and dripped and which you missed, there will always be some stubborn drop or drip that refuses to have its life extinguished. In other words, you can expect, that no matter what the precautions you take are, to find at least one drop or drip on your floors. And this only becomes a heart wrenching if you’ve already done your floors. If you haven’t then it doesn’t matter. But do consider the walls as your first port of call in your redecorating project. I’ve touched very lightly on some of the things that you could do with your walls. For all of these, you don’t need an expert to do it, and you can do it yourself. You just need to consider whether you want to and how big the job is. If you’re going to strain yourself doing it, then I would suggest you hire a professional, no matter how much you think you can do it. Then again with today’s DIY industry in full swing, you might find all the necessary equipment you need to get the job done in no time at all. 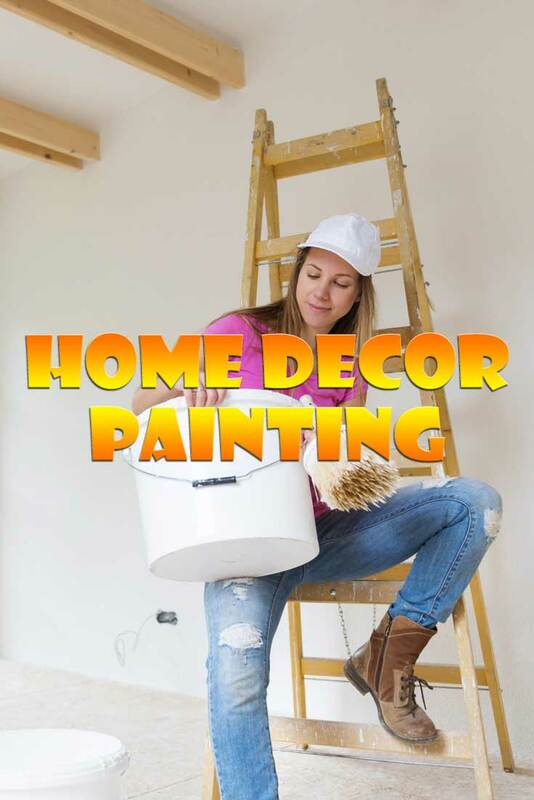 By far and away though, out of the whole lot, a simple painting job is the easiest thing you can do for your walls. Before you get started though there are a few things that you might want to attend to first, and this applies to every section that’s going to deal with messy substances, or which needs you to be involved in any manual labor. Wear some of your oldest clothes as you can be sure that the universal laws apply to your clothes as well as the floor. If you’re one of those people who absolutely must answer the phone every time it rings, then bring it somewhere you can get to it easily. Get some water or something close at hand in a covered bottle or canister, and one that you won’t mind getting dirty. Doing your walls can be thirsty work, and it’s easier for you if you have something close at hand without having to go out of the room every time to get it. Have a wet rag on hand. This will be your best friend while you’re doing your walls, so don’t forget it. You might also want a cover for your hair as well. The universal laws come into effect here as well I’m afraid. This one is quite important actually and has to do with your tools or implements. Keep all of the ones that you’re going to need somewhere you can find it. It’s no use hunting frantically for everything at the last minute when things can start drying up. And lastly, keep a radio somewhere close by. There’s nothing like having some good music going on in the background while you’re busily working. I love painting, so this is one of the jobs that I took on myself and had almost no help with. I remember wielding my first paint brush when I was twelve years old, and from there I never looked back. Whenever there was a paint job to be done, I was there. You might think this very sad on my part, that I liked painting so much, even my friends didn’t think so, in fact, they still do. But it just can’t be helped. The satisfaction I get from completing even one section pf wall is my addiction. Besides, when you’re up on that ladder with music blasting form the speakers on the other side of the room, there’s only you, the paintbrush (or the roller or the spray! ), and the music. I can get lost in the painting process and can spend hours without even realizing it. And, incessant chatterbox that I am, I don’t even find that I need company when I’m painting. All I need is myself. If I have a company that’s alright, but it’s not necessary. Anyway, to get back to what you need to know about painting instead of my preoccupation with it. If you’re doing it yourself and it’s your first time, don’t worry, it’s going to be fun and easy. But first of all you need to get the hang of it. Since you know the color you want, it’s now just a matter of setting everything up and getting yourself ready. Painting, if you’re doing it yourself can be a personal thing, and different people favor different tools. You just need to find yours and to get a good feel for it. You will, however, need to decide whether you want to use a brush, which takes longer and the cover isn’t all that great. A roller, which is faster work, but quite messy, although the cover is much better; or a spray gun, which is by and away the fastest method, and it also has a great cover, you just need to do any edges by brush and wear a protective mask. On the upside of the spray gun, it will get the work done that much faster and ultimately your walls will look better for it. I just like the roller sometimes though because it’s more soothing for me. As usual, the choice is yours, but if you just want to get it over and done it with, then you should invest ion a spray gun. Now I consider this a very messy job no matter what anyone will try and tell me to the contrary. I’ve tried it once or twice but that was it, I just couldn’t get into it, so if ever I need a wallpapering job done I’ll call in the professionals. However, after just having gotten rid of pink cabbage roses and green paisley, I’m not in too much of a hurry to get any wallpaper back on my walls, so I’ll stick to paint thank you very much! I have to admit that I did contemplate having some wallpaper in one or two of the rooms, and I did even get some samples to look at. But that idea took flight right along with the decorator. Since I was the one who was going to be doing most of the work, this just made my decision to nix the wallpaper idea in the bud, before it could take root in my brain. However, from what I saw from the various samples, there are some great looking wallpaper patterns on the market today. And I don’t know if they still do pink cabbage roses or green paisley since I expressly asked for those two not to be included n my samples, but if you’re a fan of them, you might still be able to find them!